As with the finest of wine, Antonella Chouhal just keeps getting better as she matures. 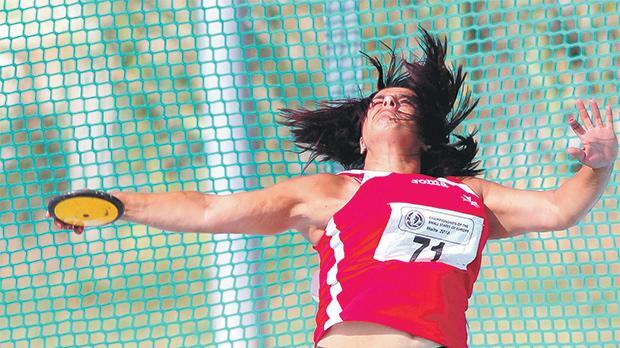 For years she has been the finest female thrower in Maltese athletics yet even so she keeps on pushing herself to improve. “You are never perfect, I wish I was!” she replies. That improvement is mirrored in her results. “The past year has been great,” she said. That Masters participation is surely one of the highlights of her year as she was able to prove her worth not just against local opposition but also foreign athletes. Competing in such events is something of a family affair. “The Masters idea came about from my husband Rachid Chouhal who is also my coach,” she said. “At first I wasn't sure about it but then I decided to give it a try and, to be honest, I really enjoyed it. “The feeling is much different from open events since the atmosphere is very friendly but competition is still tough as today many athletes’ endurance levels are better and they keep competing for longer. Being a veteran athlete clearly does not trouble Chouhal too much. Indeed, it is for her an added bonus. “Being a veteran athlete is a big responsibility,” she re-marked. “I already coach young athletes in throws and I see for them a big future in the coming years, some of them already broke records in their categories. It also helps her keep going. “Since results keep coming it is easier for me to keep motivated so you are hungry for more,” she reckons. That club will also help in her dream of seeing local throwing improve. “Unfortunately, throwing is not as popular as sprints and jumps but having said that the local throwing scene had a big boost in the last years. There are a few promising athletes which I can say these will make a name for Malta one day obviously if they continue to work hard because nothing comes easy,” Chouhal said. “There is a lot to be done in the local scene. If we want results we need to come together and build foundations. As for Chouhal herself, she continues to dream big. Of next year Chouhal says she has “many plans and hope to be the best ever been. It may sound strange but I’ve never felt this good. I hope to make it in the squad for the GSSE, European Masters and, who knows, if all goes as planned there might be some nice surprises. “Last thing, I want to thank my husband Rachid, without whom I wouldn’t be the athlete I am today, my two children Sarah and Ka-reem… a reason for my successes.